Locally South Australian owned and operated by Murray Dolan, ADELAIDE HILLS FIREWATCH is a portable fire protection and maintenance business which since 2004 has experience in sales and installation, maintenance, training, refilling and pressure testing. ADELAIDE HILLS FIREWATCH is responsible for setting up of scheduled maintenance programs for all portable fire equipment including fire extinguishers, fire hose reels, exit lighting, fire alarms, lay flat hoses and fire blankets. All servicing is carried out in accordance with current Australian Standards and is designed for the regular preventative maintenance of all equipment. Our pricing is competitive within excellent market boundaries. 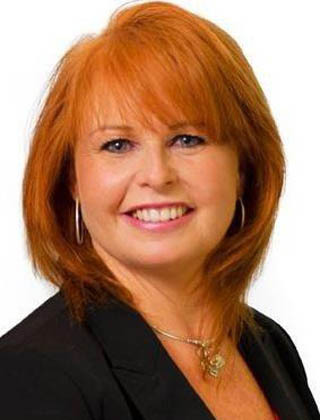 We are able to quote on a one to one basis to achieve a win win situation for all clients. 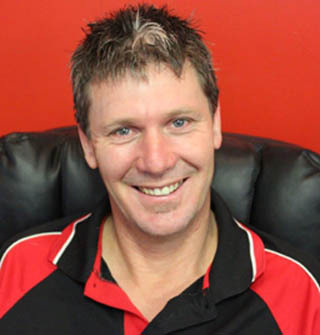 Murray’s background knowledge of the industry comes through 25 years of Country Fire Service volunteer work, 2 years previous work history within the same industry, and 3 years as an emergency service officer at Moomba Gas Fields. ADELAIDE HILLS FIREWATCH currently holds many varied government contracts, eg SACFS, DPTI, DEWNR, SES and Mining Corporations including Eastern Well Group, Weatherford Drilling, Bardrill. 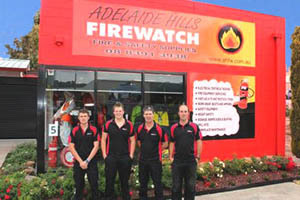 ADELAIDE HILLS FIREWATCH also service Business, Industry and Commercial properties across the Adelaide Hills, Fleurieu, Riverland, Murraylands & Barossa Valley. Our servicing has produced high standards and expectations in customer service and has enabled us to add servicing and supply of First Aid Kits & Electrical Testing and Tagging, to the pool of services being offered. All our work has been based on values of respect, empathy and genuineness.